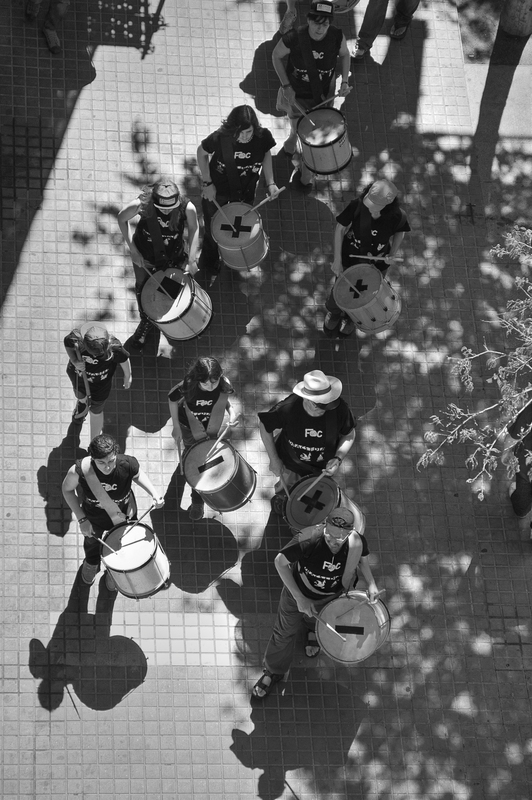 Drummers parading past my building and captured from above, from my balcony. Changing the angle does the trick sometimes. Love street photography, can imagine that would be pretty colourful and interesting in Barcelona, looking forward to seeing more Carlos.